Parti sketches of original concept. 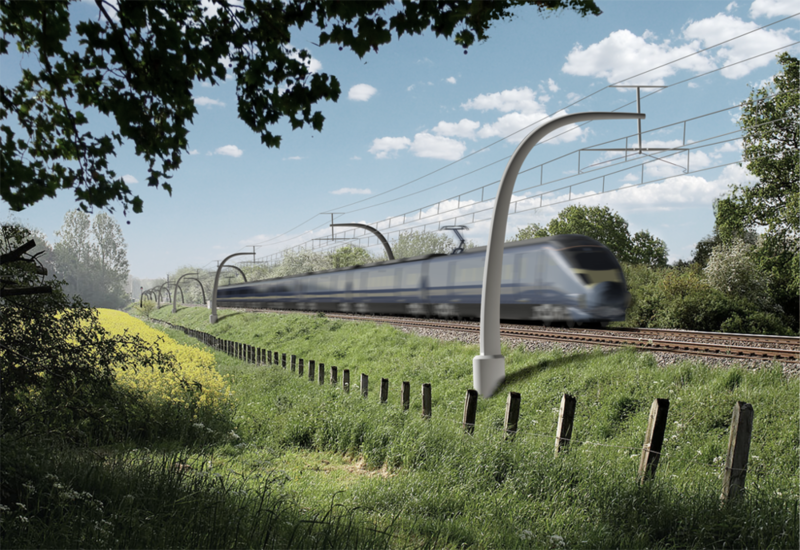 Our submission for the design of the High Speed 2 Overhead Mast competition. The mast was modelled using parametric design to produce a variable cross section. We proposed a cantilevered structurally efficient organic form. The proposal consisted of a fibre reinforced plastic mast reminiscent of experimental overhead structures designed in the 1950’s, updated with modern materials and construction methods from the sailing and offshore energy industry. 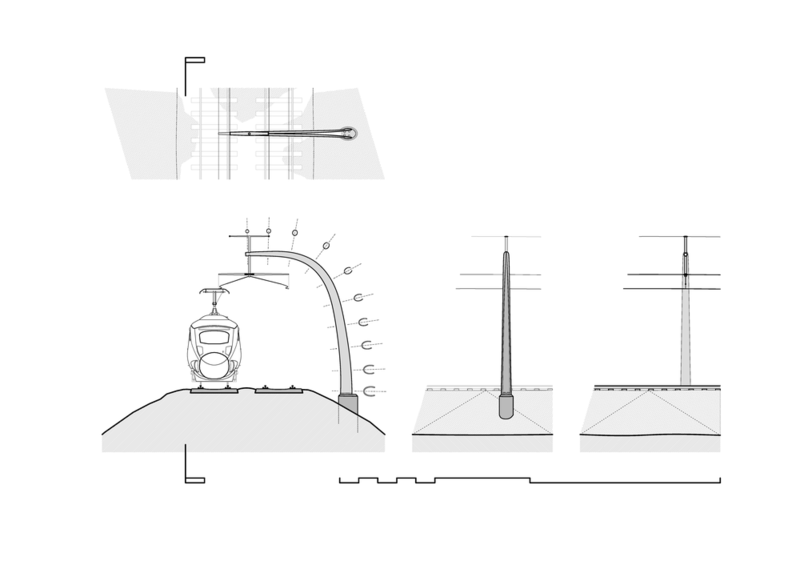 The structure allowed efficient use of materials with variable thickness and section holding a distinct vertical topmast in which the electrical cables are supported in a central harness, creating a clean linear path. The cantilever masts are mirrored every 60m on one side, thereby reducing the visual impact of mast structures on the landscape. The curving mast structure is self-insulating, anti-climb, maintenance free and reduces man-hours and construction time by reducing the number of mast foundations track side.